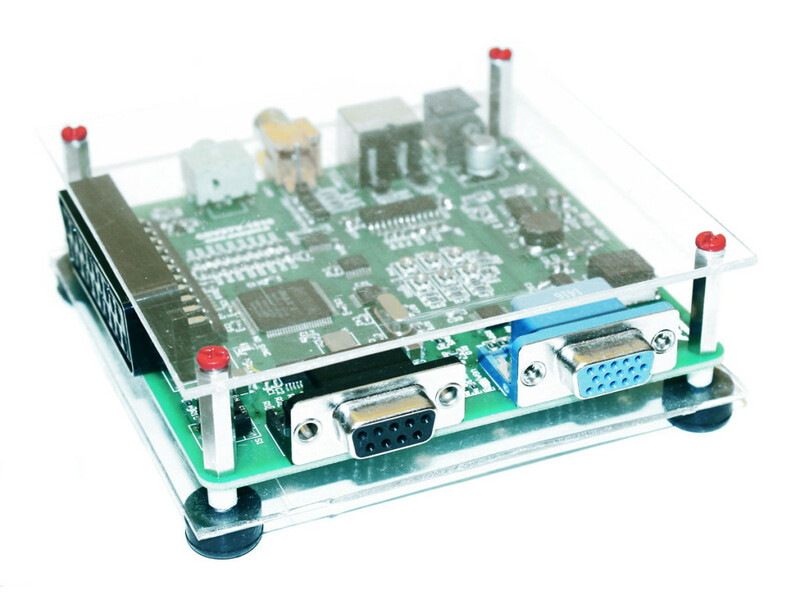 CEV2TV is the acronym of CGA (Color Graphics Adapter), EGA (Enhanced Graphics Adapter), VGA (Video Graphics Array) to Television set. As the name evokes, CEV2TV is a video converter with significant features. With CEV2TV you can use your standard television set (CRT, LCD, OLED, Plasma, etc.) as a monitor to display CGA, EGA and VGA video formats. CEV2TV does not alter both the original video resolution and the scan frequency achieving high quality video output. 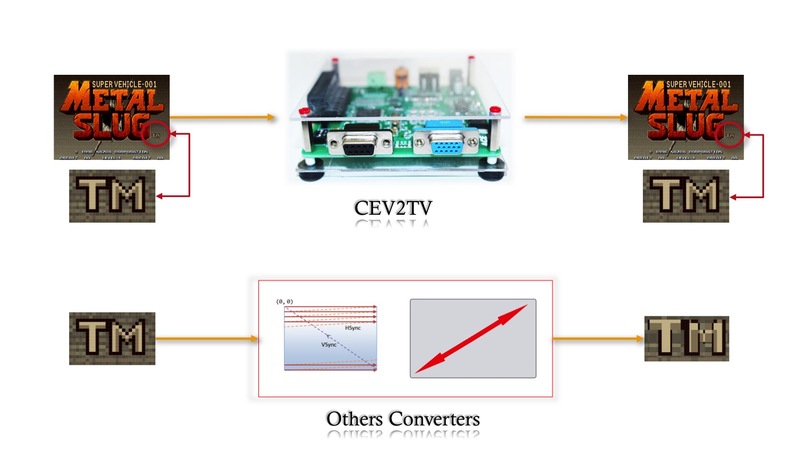 CEV2TV was born about 2 years ago from a very simple and little circuit which was able to separate horizontal and vertical scanning signals from a composite scanning signal. 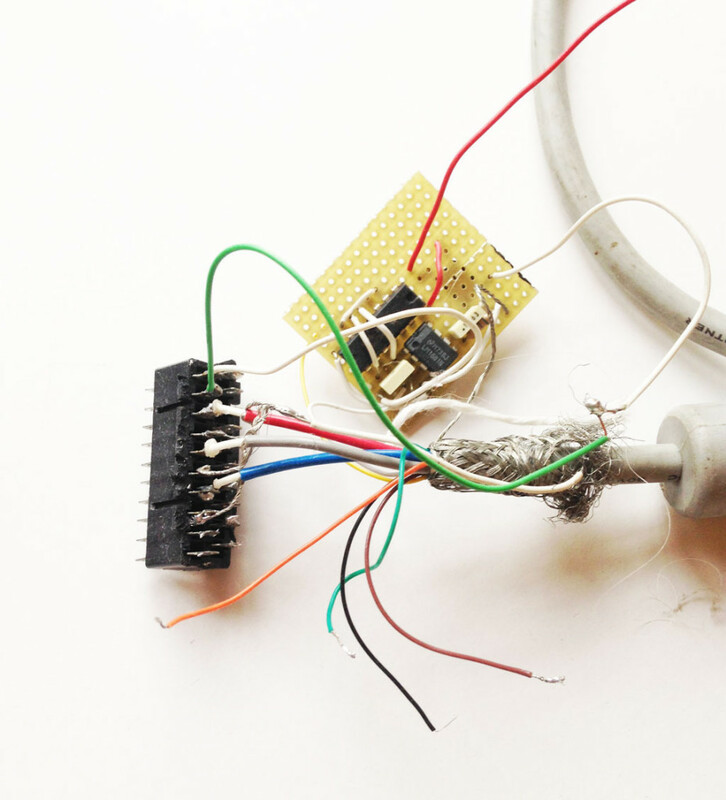 After few days we had to face an issue: how to replace exhausted CRT monitor of an industrial knitwear machine. We hoped to find a new CRT monitor with the same characteristics of the exhausted one at a low price. After few weeks of research we understood that no standard and low priced CRT monitor was compatible with the industrial machine. Thus, we created the first prototype of CEV2TV. After months of work to increase the video quality we created the second prototype of CEV2TV but it still wasn’t fully compatible with CGA/EGA palette. At the end we created the ultimate version of CEV2TV with DAC and FPGA, finally fully compatible with CGA/EGA palette. the Video Graphics Array (VGA) when used at 15kHz. Unlike the majority of converters on the market, CEV2TV does not alter the original video signals and it does not change the scan frequency signals using scan converters or video scalers. Scan converters and also video scalers alter video frequency and resolution reducing video quality. In CEV2TV the entire process occurs in analog domain. There are not Analog to Digital Converters (ADC), that ensure maximum video quality and native resolution of video. 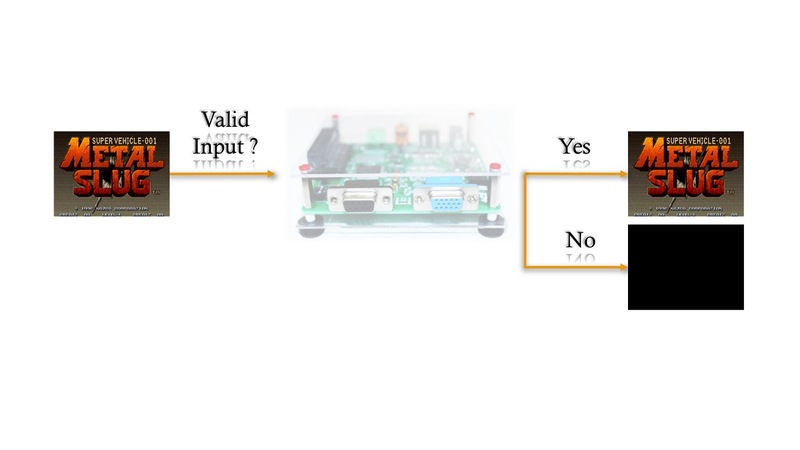 As CEV2TV doesn’t touch the horizontal and the vertical scanning frequency of original video input, it continuously monitors the input signals and the output is enabled only when a compatible signal for TV is available. If the video input changes at an incompatible scan frequency, CEV2TV disables the output instantly. horizontal scanning frequency is between 14.8 kHz and 16.2 kHz. CGA and EGA use digital signals to drive the monitors. 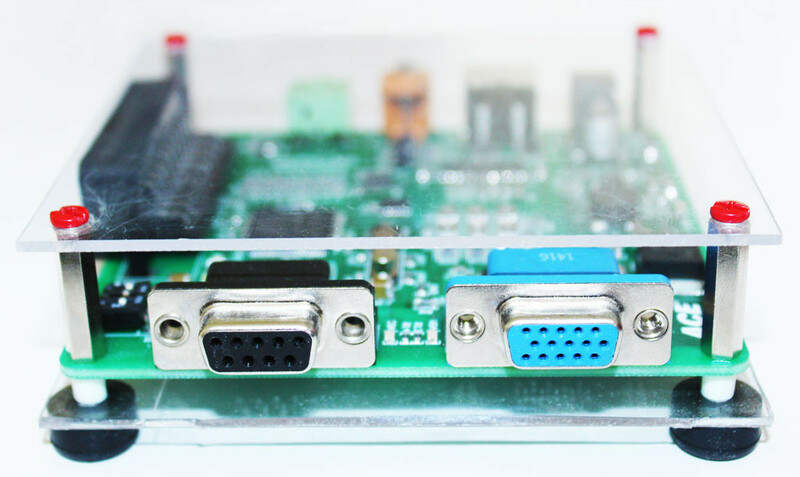 In particular, CGA could be connected to dedicated monitor using a 4-bit digital (TTL) “RGBI” interface while EGA could be connected to dedicated monitor using a 6-bit digital (TTL) “RgGgBb” interface. 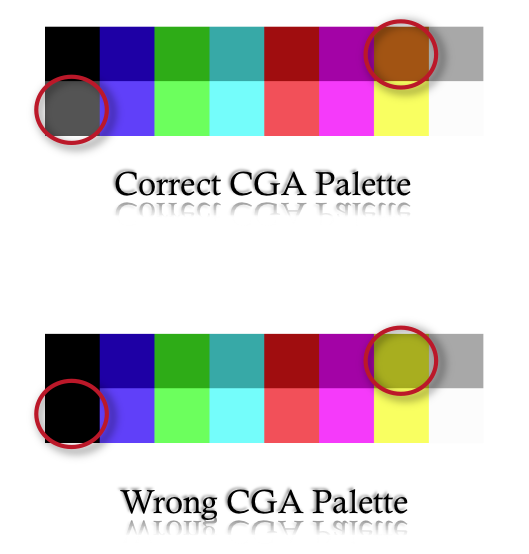 The 4-bit of CGA allow a 16 colors palette while the 6-bit of EGA allow a 64 colors palette. Official monitors, like the IBM 5153, convert the digital information, coming from CGA/EGA card adapter, to analog in a strange way. Clearly, this strange conversion was not a contort idea of IBM engineers. It was adopted because it guaranteed the generation of two important colors: the brown and the dark grey. Compatible monitors displayed the brown as dark yellow and the dark grey as black. Only few very expensive video converters are able to display correctly the brown and the dark grey. CEV2TV converts the digital signals to analog with a dedicated Digital to Analog Converter (DAC) that can perfectly produce the entire palette of CGA and EGA: the brow is brown and the dark grey is dark grey. 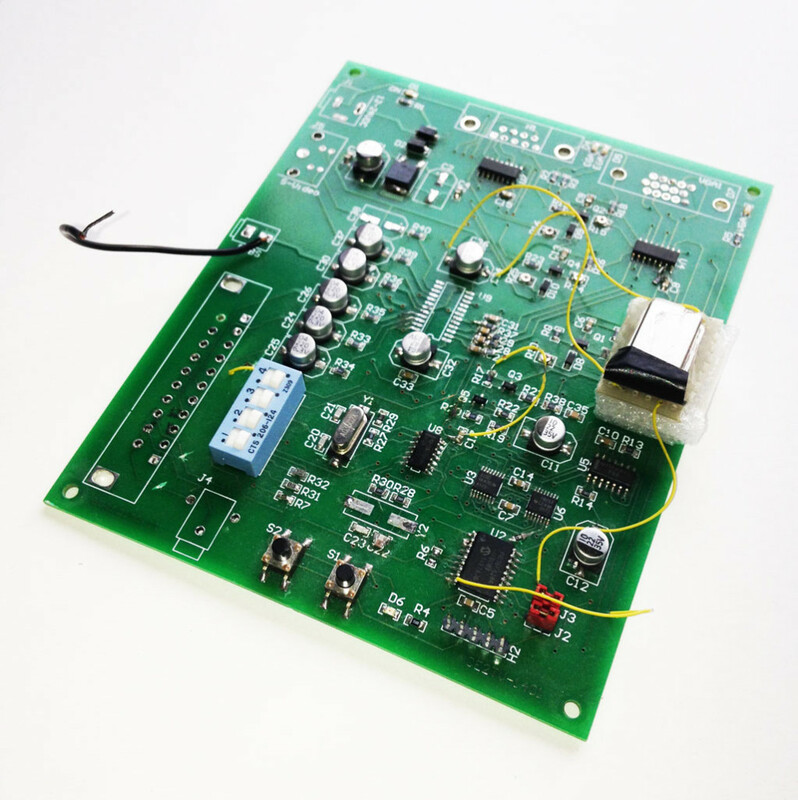 Because CGA and EGA use digital signal for RGBI/RrGgBb signals and for synchronization signals, CEV2TV has got a FPGA and a dedicated R-2R ladder DAC. S-Video (separate video) through the 4-pin mini-DIN connector. play arcade games on CRT monitor using MAME or other emulators to obtain the best video quality and native resolution. CEV2TV is really easy to use. Just plug the input and the output and watch your TV. 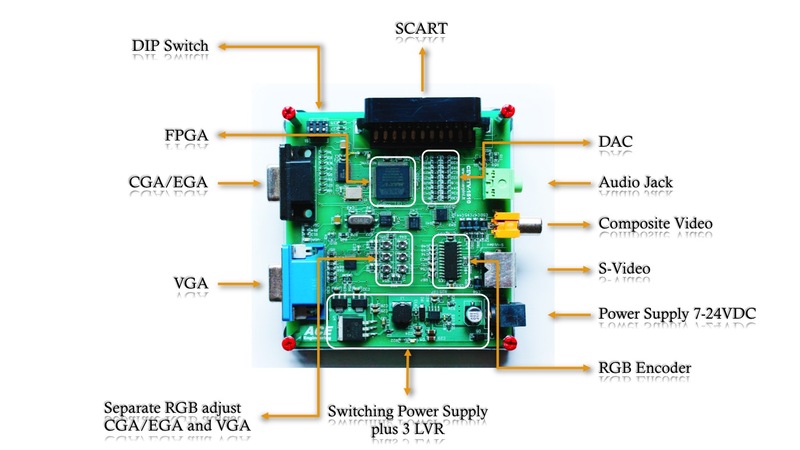 CEV2TV is not a simple board. We have been working on it for about 2 years before reaching the wished high quality of the output video. 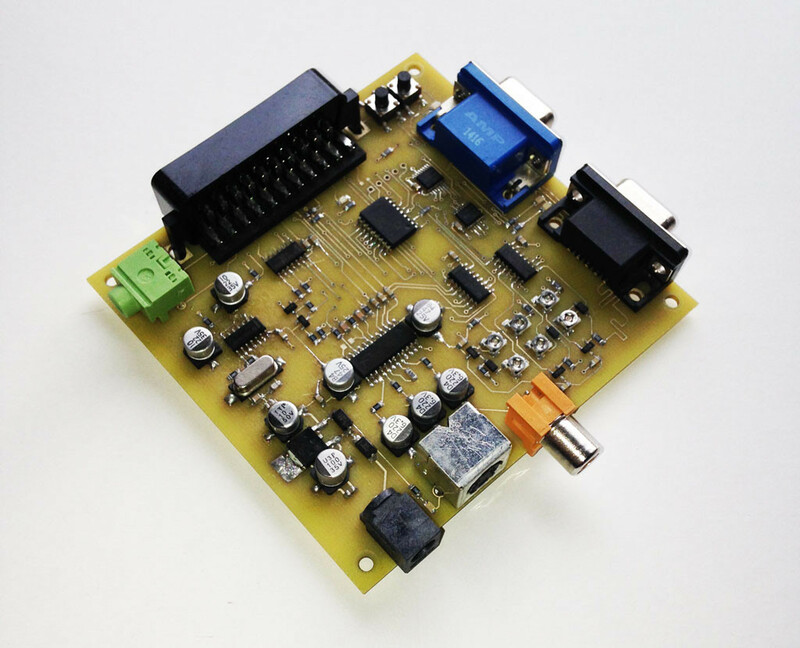 The high quality components of CEV2TV are not the cheapest on the market. For example the only FPGA on board costs about 8€ as well as the RGB encoder, the Sony CXA2075, costs about 8€. CEV2TV is designed and produced in Italy. Every single CEV2TV video converter is tested before shipping. We ship from Italy. CEV2TV has been presented on KickStarter. Watch the video.